Play Video Poker. Win Real Money! Is video poker your favorite game? If so, you’re in luck, playing online video poker for real money is always exciting and fun! CanPlayCasino.com offers one of the widest varieties of video poker games in Canada. Poker players can play from the comfort of their home, office, or on-the-go with our Mobile Casino App. At CanPlay’s online casino, when you play online casino video poker, real money is on the line with every game. Players should brush up on their video poker strategy, perfect their craft, and get ready to win big! Play video poker online for real money with one of our classic casino games below. CanPlay Online Casino offers a sign up bonus poker package and first time depositor bonuses. Get up to $1,000 in bonuses and start playing your favorite video poker game today. With a variety of video poker casino games to choose from, including popular online gambling games like Jacks or Better, Double Bonus Poker, or Deuces Wild video poker, CanPlayCasino.com is your place to play real money video poker. Play online video poker games and take all the poker strategy, tips and tricks learned over the years and test it against the video poker machine when gambling online. 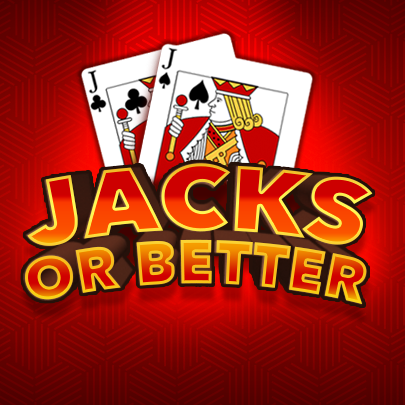 Jacks or Better Video Poker game is a single hand type video poker machine. Poker fans, gear up to get the highest payouts! When bets are placed, 5 cards are dealt with an option to hold the hand, discard any amount of cards to be replaced or draw an entirely new hand. Perfect for beginners and seasoned poker players who want to play video poker online for real money, this simple no frills game delivers timeless video poker entertainment. Deuces Wild Video Poker game is a single hand type video poker machine. Poker fans looking for a great video poker variation to perfect their strategy will really enjoy this classic video poker game. Gameplay, sounds and artwork all reflect the action and challenge of this popular casino game. 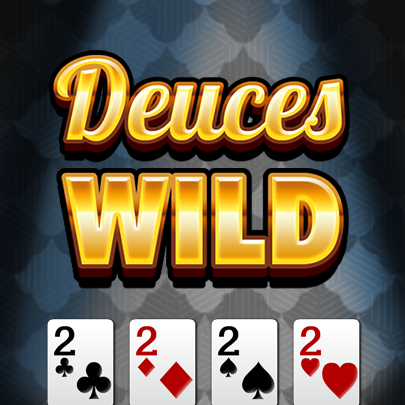 Deuces Wild follows traditional poker rules in terms of how hands are formed, except that all deuces are “wild”! Deuces & Jokers Video Poker game is a single hand type video poker machine. It is played with a 53 card deck the extra card is a Joker which is wild, all the Deuces in the deck are also wild. Deuces are cards with a face value of 2. The cards are shuffled before each hand. 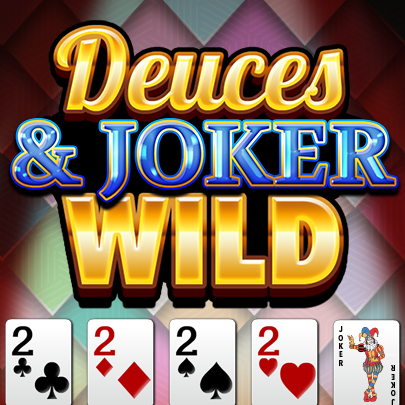 Deuces & Jokers is most similar to Deuces Wild Video Poker however in addition to the extra wild card (the joker) the payouts are slightly different and Deuces & Jokers has an extra winning combination. At CanPlayCasino.com we’ve worked to create highly interactive games where you can win real cash prizes while gambling online. With a number of options to choose from it’s easy to find the games you’ve come to love. All of these online casino games offer the thrill of sitting at the poker table without the stress of playing against other people.